We all are inseparable part of the material world. But we all live also in a spiritual world, which cannot be directly seen and perceived by our human senses. In this world, we all are interconnected and influenced by different forces and energies. This is happening in both directions- positive but also negative. Our mission in the area of protective magic lies in the elimination of the negative energy influences and re-creating balance in the lives of our clients. Protective magic, purification from black magic, freedom from negative entities and exorcism belong to our most important services. We liberate our clients from negative influences and we create energy protection and individual protective amulets. Talk with us! Do you have a suspicion of a black magic attack? Do you suddenly feel iniquitous and you don't know why? Has your physician detected a disease which came without any warning and your health is not improving? Do you have problems with sleep, nightmares or do you hear strange voices? Let us advise you and find out the source of your problems. Put your problems into the hands of professionals and contact us here! We can help everyone, but we have to emphasise that this can happen only when the client fully follows our instructions. We all can contribute to the elimination of ignorance and evil. How? By realizing, that evil is destroyed by the growth of good. Exorcism means the expulsion of demons and other negative powers from people, but also from plants and animals. A demon can dwell deeply in the energy centres of a man. Then it manifests itself as other voices, aggression, pain or diseases. In such situations it is necessary to use exorcism, which gets rid of negative entities in the underworld. Furthermore it is vital to build a protective wall, so that such vampires cannot return. Exorcism is very energy-demanding work. Very often is need also some sacrifice in order to attract demon's attention. While the demon feasts on the sacrifice, one has to build strong energy wall around the client so that demon cannot return back to the client's energy system. Then, the client him/herself has to make his/her energy field stronger. This is achieved through meditations, rituals and energy transfers. We recommend not to drink alcohol for several months and not to practice any extreme things, which could weaken the energy field or immune system. We recommend to commit fully to train own mind to be focused on positive an good things like love, gratitude and stillness. This is the best protection against negativity, because where is the light, cannot be the darkness! People affected by black magic tend to be depressive. Besides magic we recommend to read the book from Dr. David Burns: Feeling Good, The New Mood Therapy. People who were attacked by magic or took drugs have to be careful, because demon can return when is their body weak. We recommend to go regularly to church, read spiritual books and to meditate. Here you can read more about your protection. No Demon will leave his victim voluntarily, that's why we have to make during exorcism contact with him and we have to force him to leave. Do you feel like someone has put a curse on you? Do you feel overwhelmed by something negative? We can help you to liberate from negative forces and black magic. do not eat/drink things, which make your energy weak (alcohol, drugs, strong pills etc). do not allow your mind to focus on negative thoughts and emotions. do not occupy your mind with some extreme opinions or beliefs. meditate regularly with a white candle. pray regularly to God Almighty. Read positive spiritual books, which help your mind to focus on positive things. "May all arrows, which were shot agains me, return back to their sender. May his/her bow is broken." Place these mirrors on windows to all four directions (east, north, west and south) with the text being turned outside. Place above the entrance door some magical protection sign (cross, pentagram etc.). Magician would load this subject with protective energy or s/he will create an astral being with the special task to protect the entrance. Create/buy some protective magical amulet (the best is one, which carries inside special astral being for protection) and carry it with you all the time. Magic is a neutral tool. In the hands of people it can be used for good or for bad. What is crucial is the motivation of the mage and the client. Magic is a tool like atomic energy. It can give us light, but when it is misused, it can be destructive. There is also 'fully-aware' black or white magic. A Mage of black magic is selling his soul to devil. And therefore a black mage after his/her death has to serve the devil. As a reciprocal, he has during his/her life some powers, which he/she can use for his/her egoistical goals. Such people have to serve after their death and it is almost impossible for their souls to incarnate again. Most of these people are very materialistic, they don't believe in soul or next incarnations and that's why they get caught into a trap. In the end the realize the errors of their ways and will try at anything to undo such contracts. Although, in most cases it is not possible to save the soul. Salvation can only be granted by the grand master of white magic and the black mage has to be fully cooperative; however, in most cases this is not possible. People become trapped in their routines of everyday life and sometimes find these traps inescapable. Black magical attack cannot be underestimated. We recommend all people to find professional magical help. Such things can be very serious and can ruins one's health or whole life. Around gross material body of every human being, there is an aura, a magnetic field. Aura of normal healthy human being is strong enough to protect against negative influences and entities. Diseases, stress, drugs or negative emotions can harm the aura and through the "holes" in aura. Such weakened aura cannot protect anymore and negative entities can very easily infiltrate inside. To a certain degree, everyone can recover his/her aura. This is possible with the help of proper and natural nutrition, adequate body and spiritual exercise. It includes reading of various holy books like: bible, Ramajana, Bhagavad Gita, Buddhist works (for example - In the tracks of Buddha), I Ching and many others. All religions come from one source and that's why one can find lots of wisdom in many religions. But it should be said, that every religion also includes many half-truths and one has to hear his/her feelings to recognize truth from untruth. To strengthen one's aura regular meditation and prayers are needed. We can relieve demons, blocks and maledictions from you. With the help of divine power we are able to place protective wall around you. Such protective walls will help you to live sustainable, confident and healthy life. Protective magic provides the aura with a stronger protective wall compared to the protection of normal healthy people. The Protection lasts many years and the client will not be interfered with by any negativities for decades. It means that the client can experience more unexpected positivity and this will lead to more balance and harmony in ones life. So the protective magic is a very worthwhile service for everyone. Here you can find protective spells and read more about Aura. We are able to create amulets with magical powers suffused with energy that will protect you and will keep demons and spiritual junk away! Such an amulet gives its holder inner power, confidence and trust during the tough times. 1. For people, who feel lack of energy or preparing themselves for some difficult action and need energy support, we offer protective amulets loaded with power and protection. The price for such amulet is 100 Euro. An amulet will be loaded with powers for 7 days. 2. 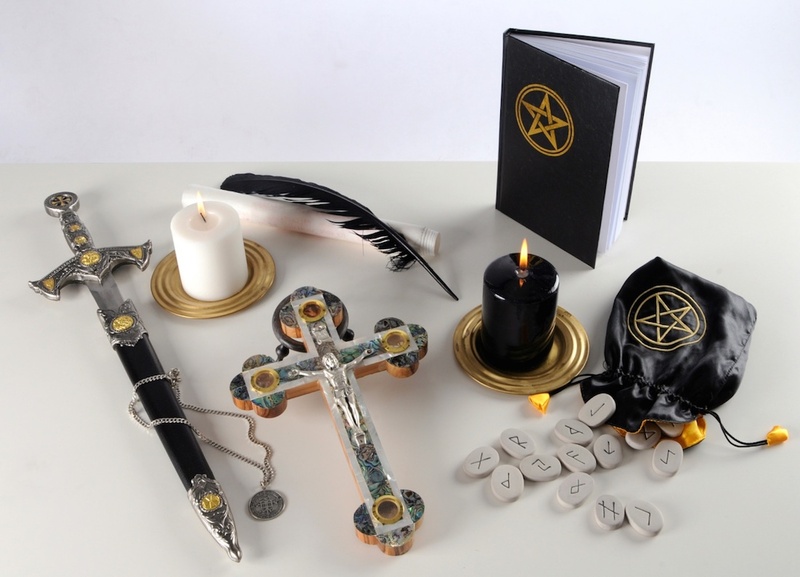 For people who are under the influence of black magic or some big negativity, we offer extra strong amulet, which is loaded individually according to special needs of the client. The price of this amulet is 350 euro. An amulet will be loaded with powers for 28 days. You can contact us here and have free phone conversation or you can send us e-mail. 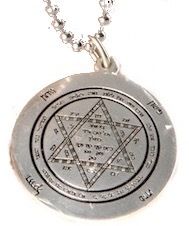 We can purchase for you a suitable protective amulet and we can charge it with magical powers. We are able to choose an amulet from a big range depending on the circumstances and the demands of the client. But we can also transform some suitable jewellery, you already have and/or you like, into a protective amulet as well. Protective amulets can be charged not only with will power or healing power, but we can also arrange for a certain time that inside the amulet will dwell some positive being or angel and it will give you power and protection. You will receive with such an amulet more power, confidence and success. Every mage needs for his day-to day routine a protective amulet and he/she needs also some special amulets for rituals and evocation of spirits and deities. Protective amulets for healthy sleep are also very important, because we cannot protect ourselves purposely while sleeping. You can read more about protective amulets here.